Today I have a review of Geekerella by Ashley Poston for you, but with that I have some news about the next book set in the Geekerella Universe, The Princess and the Fangirl. This book comes out on 2nd April and Quirk Books are running a pre-order campaign. Everyone who preorders The Princess and the Fangirl will receive . . . 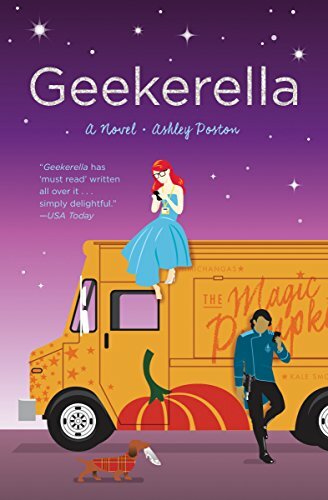 Here's the link to find out more: https://www.quirkbooks.com/page/preorder-princess-and-fangirl-ashley-poston# And you can click here to pre-order now! I will have my review of The Princess and The Fangirl up on here VERY soon! 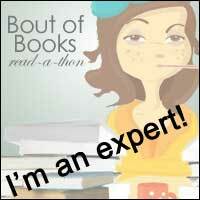 Review: Oh wow I loved this book, why didn't someone tell me to read it sooner? I love the idea of characters who both belong to the same fandom but from very different worlds having some sort of connection, wherever that might be and this book truly shows how fandoms can bring people together. Speaking of fandoms, you can tell that this author is into them because there are many many different fandoms represented here, not just the fictions Starfield. Also, I love the fact that Starfield was created, its whole world was created for this novel-genius! I really liked Elle as a character. She is obviously our new Cinderella only she has a little bit more gumption than the Disney version of this princess. Her evil stepsisters and evil stepmother really do appear to be just that as the novel progresses, could there be more to them than meets the eye though? All joking aside, I would love to spend more time with Elle BUT I would ;love to hear more from these stepsisters in future novels, do you think we could make that happen? Darien is of course a great prince charming type. He is so misunderstood and I love the development his characters goes on as the storyline gets deeper. Again let's see more of him too please. As a retelling, I think this really works. We've got the pumpkin as a food van, amazing, the fairy godmother is gay and has green hair, just perfect and the ball is a fandom ball at a convention-totally awesome! If you're a bit of a perfectionist when it comes to your fairytales, I am sure you could find holes to pick in this one BUT I loved it. I did this on audio which means that it had more than one narrator. This aspect really brought the book alive for me. I highly recommend catching up on this one before The Princess and The Fangirl comes out on April 2nd.